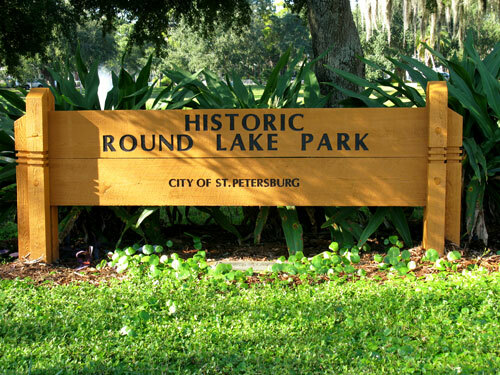 Historic Round Lake Park, on the edge of downtown St Petersburg FL, is an almost forgotten corner of Old St Pete. 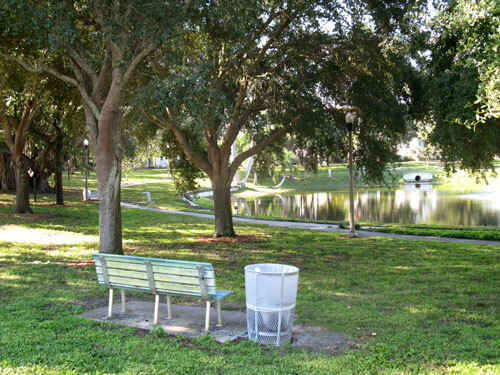 Quiet and quaint, it is a nice place to sit and read, or just think, for locals and visitors alike. 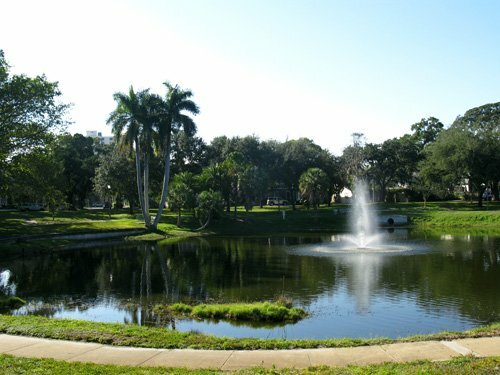 Located at 6th Street & 6th Avenue North, it is in one of the oldest neighborhoods in the city. The varied homes, many of them bungalow styled, are set on brick-paved roads and hexblock sidewalks. The lake is relatively small. You can walk around it in about 8 minutes. 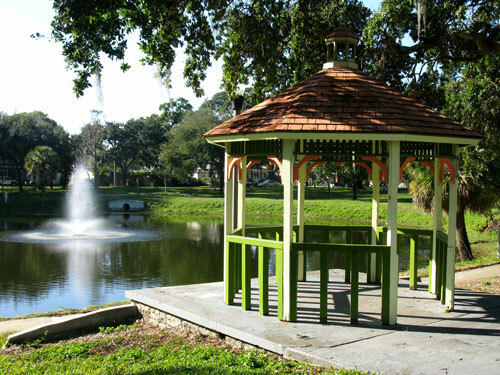 There are several benches facing the lake, and a brightly painted gazebo that, curiously, has no seats. There are no restrooms in this park. Make sure you catch a bite to eat at Angie's Front Porch Market Cafe (495 7th Ave. N., St. Petersburg, FL 33701; 727-320-4540) just west of the park, up 7th Avenue. Round Lake Park is quiet, sleepy, and almost forgotten. 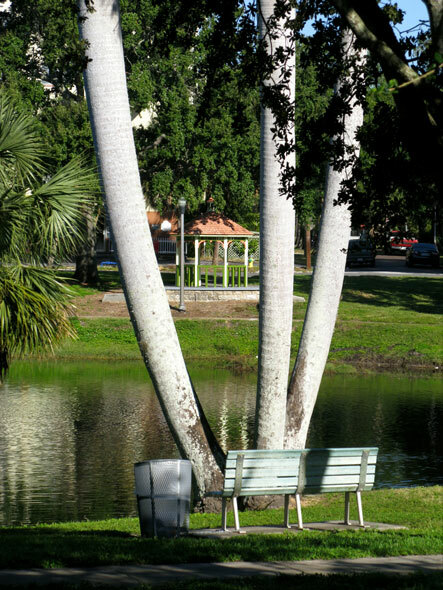 There are several benches surrounding the lake where you'll find locals reading or doing crossword puzzles in the lazy morning sun. The gazebo is a nice structure, but there are no seats in it. A romantic view from the south side of Round Lake. 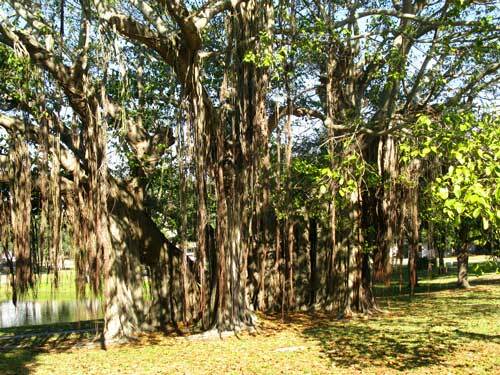 An aged banyan tree is a focal point of Round Lake Park. 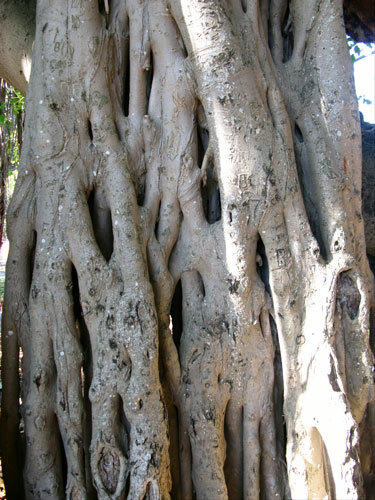 Checkout the detail of its root/branching system. 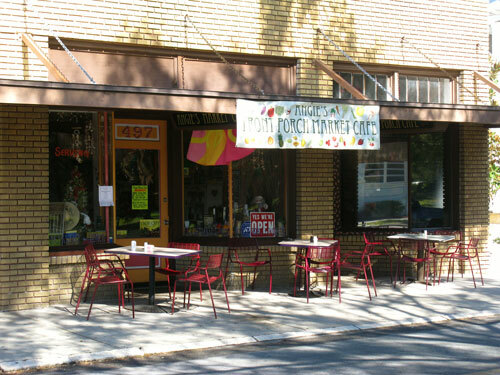 A stop at Angie's Front Porch Market Cafe on 7th Avenue for a light breakfast pretty much completes the morning.